For a competition whose slogan is “swimmers without borders”, the EU Swim Series will be celebrating its 10th anniversary in perfect style. On the 19th and 20th of September, 2015, this international competition will cross the Atlantic Ocean for the first time in its history, landing at the world-class YMCA Aquatic Center in Orlando, Florida and opening its doors to swimmers of all ages and levels from the United States and abroad. 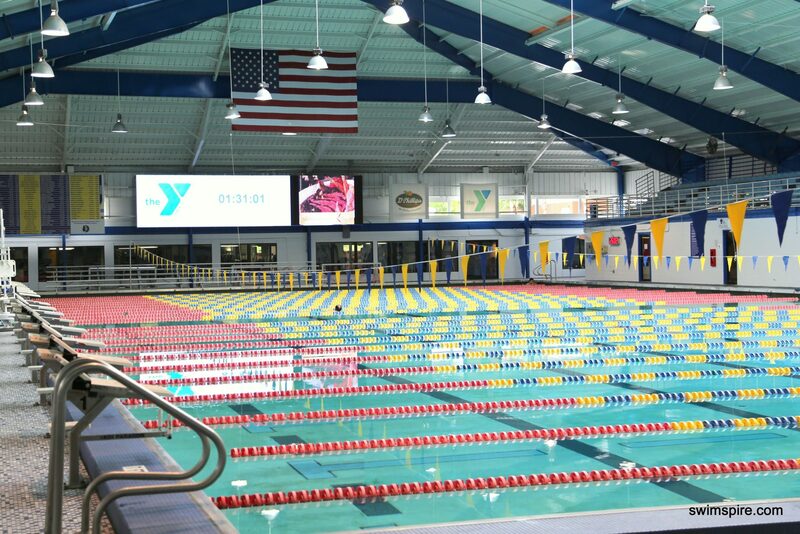 Hosted by the YMCA of Central Florida, the EU Swim will maintain its traditional short course meters format this year, providing American participants a unique opportunity to test their times on a new course. 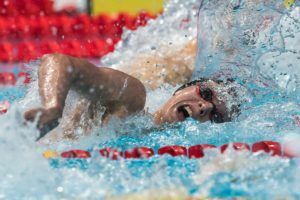 With a dual-USA Swimming and U.S. Masters Swimming sanction, this year’s edition is hoping to attract a variety of competitors, from Masters swimmers, to collegiate athletes, to age groupers. I first started the EU Swim back in 2006 as part of my Master’s degree requirements while studying European Affairs at political science institute Sciences Po in Paris. For me, the competition was initially just an experiment in European citizenry. Much emphasis was placed on achieving “unity in diversity” – celebrating diverse national heritages while embracing similarities as Europeans. 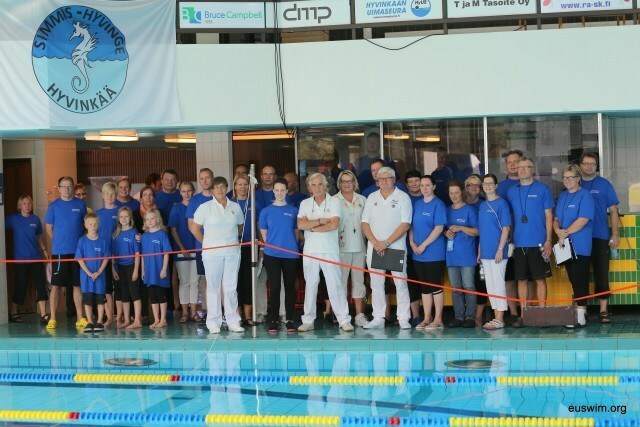 Sport has often been used to connect and unite people from across the globe – and that is what the EU Swim set out to do that first year in Paris. Turning a dream into reality is often a long and difficult process and organizing the first year of the EU Swim was no exception. The competition truly became a grassroots initiative – from emailing hundreds of clubs across Europe, to contacting potential sponsors, to receiving permits from the appropriate sports authorities in Paris. Although there were ups and downs, the rewards were worth the effort. Particularly remarkable was the unique atmosphere, at once convivial and competitive. 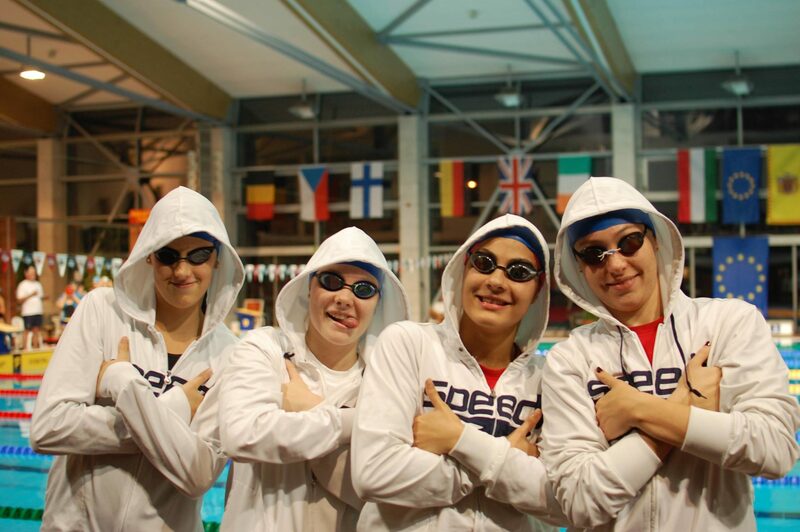 The competition was new and exciting for many of the swimmers, some of whom had never traveled abroad before. Because of this initial success and warm reception from the participants, the EU Swim didn’t stop in the City of Lights. 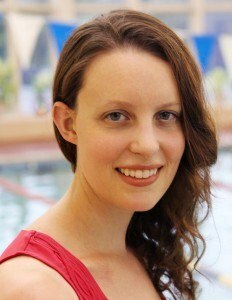 The scope of the competition widened – it was not just for EU citizens or European citizens, it became a competition open to swimmers from across the globe. 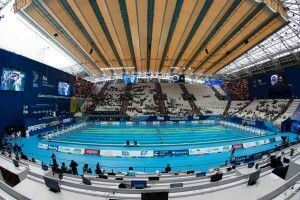 Since Paris 2006, the EU Swim has been hosted in a different European city and country each year, including Belgium, Poland, Switzerland, Hungary, Finland and Estonia. Adopting the slogan “Swimmers without Borders”, the event has attracted between 200-600 swimmers from up to 12 countries each year. And every year, that same unique atmosphere prevails. 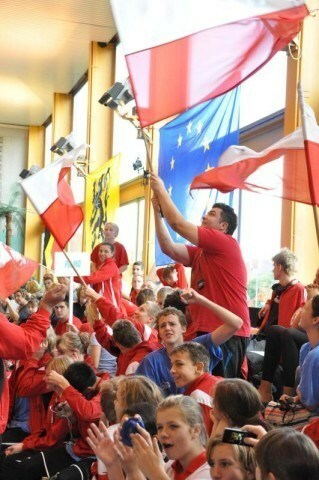 The EU Swim is more than just an average swim meet. Many of the teams have come to participate nearly every single year, and traveling to a new country for the same competition on an annual basis has become a reunion of sorts – the opportunity to see old friends and make new ones. Every edition of the EU Swim has had its own unique elements, but the overall mission has remained the same: to offer all swimmers – young and old, beginners and elites – the opportunity to compete internationally, represent their country, travel, and explore the languages, cultures and athletic achievements of their fellow swimmers. Particularly poignant for me has been to see swimmers of all ages standing on the podium to proudly receive their medals, waving their country flags enthusiastically during the parade of countries, or exchanging swim caps with other teams. Mark Twain once wrote that “…(t)ravel is fatal to prejudice, bigotry and narrow-mindedness…”, and what better way to travel and meet people than through a sport that you love? 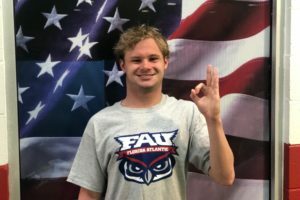 Sadly, however, most swimmers who do not reach a certain level of performance in swimming are never offered an opportunity to compete internationally. This was a fault that I have always hoped that the EU Swim could correct, if only in a small way. It is partly because of this mission that EU Swim is traveling to a different continent this year. 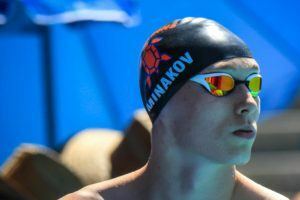 By bringing the meet to the United States, the EU Swim can expand in its diversity and include swimmers from an even wider variety of countries. 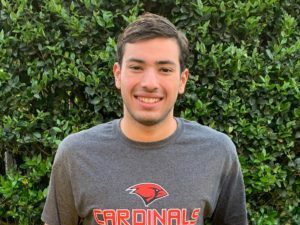 The event will allow all swimmers to celebrate their love for the sport together, and may also allow for the opportunity to set some new meet records in the meantime. Indeed, the EU Swim may be open to all levels of swimmers, but that has not stopped quite a few Olympians and national swimmers from participating over the years. 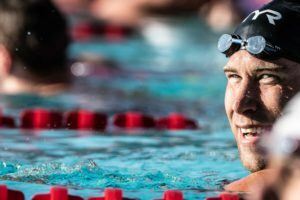 And with the Orlando YMCA’s fast pool, a venue that has seen numerous record-setting swims from such swimming greats as Michael Phelps, Janet Evans, and Rowdy Gaines, the possibilities for the 10th anniversary are endless. Set in a fabulous city that attracts tourists from across the globe, and with a dedicated organizing team, the 10th anniversary of the EU Swim is shaping up to be quite an event. On-deck registration is available, so why not bring your swimmers and join us there? Looking forward to meeting you!